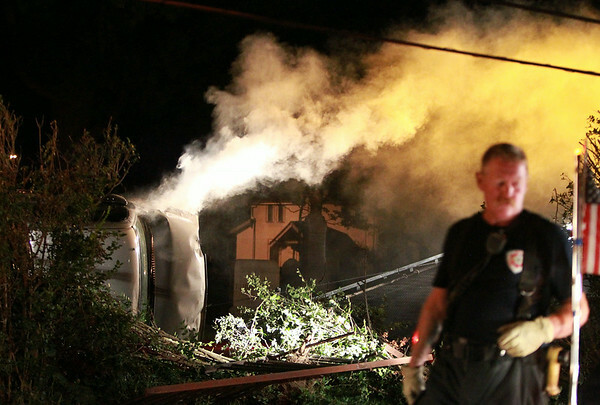 A flipped over pickup truck in Greenlawn Cemetery begins to smoke after two tow trucks tried to remove it from the wreckage place. DAVID LE/Staff photo. 8/7/14.